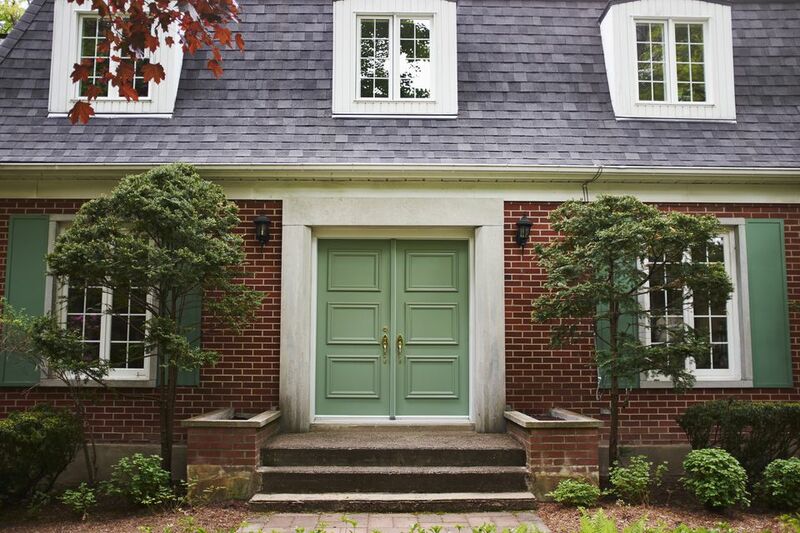 If you cannot repaint your front door in order to improve its feng shui, know that it is still possible to create a strong feng shui front door. This might take a bit more work and creativity, but it is sure worth it because a house with a weak or blocked front door cannot have good feng shui. I assume you have read Part I: The Power of A Strong Feng Shui Front Door, so now let's look at various front door decor solutions for your house. To make it simple, I grouped doors by the feng shui element of their direction. There are 8 Bagua areas in feng shui that correspond to 8 compass directions; you create excellent feng shui when you support and nourish the specific feng shui direction of your front door. Your front door will fall in one of the 5 categories mentioned below (because of 5 feng shui elements.) If you need to improve the feng shui of your front door but cannot repaint it, here's what you can do. EAST (67.5 to 112.5) or SOUTHEAST (202.5 to 247.5), you want a door color that is nourishing and supporting the WOOD feng shui element. Good for your door colors are green, brown, blue, black and all earthy colors. Bad for your door colors are: white, gray, red, orange, strong yellow, purple, pink. SOUTH (157.5 to 202.5), you want a door color that is nourishing and supporting the FIRE feng shui element. Good for your door colors are: red, orange, strong yellow, purple, magenta, pink. Bad for your door colors are: blue and black. How Do I Create A Strong Feng Shui Front Door? How Do I Determine My Front Door? How Do I Deal with the Unlucky Direction of My Front Door?